Wondering if you can get a debt relief order, sometimes referred to as DRO? This section explains exactly what a debt relief order is. Find out the steps you need to take to apply for a debt relief order. Then use our FAST, FREE Online Assessment to see if you can be debt free in 2019! A Debt Relief Order is an order you can apply for if you can't afford to pay off your debts. 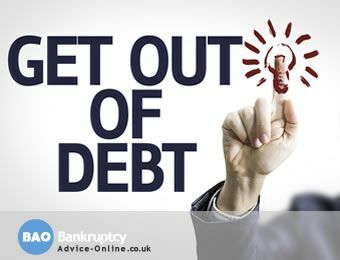 Often referred to as a DRO, it is a debt solution that is a simplified, quicker and cheaper alternative to bankruptcy in the United Kingdom. It is suitable for people struggling with their debts who have few or no assets (less than £1000 and not homeowners) and little disposable income (less than £50 per month). If you qualify for a debt relief order and your application is successful then your debt repayments and interest will be frozen for 12 months. If your financial situation doesn't change then the debts will be written off after the 12 months are up. Not all debts can go into a DRO. Debts that go into a DRO can include: overdrafts, loans, credit cards, rent arrears, utility bills, council tax arrears, benefits overpayments and business debts. Debts that aren’t covered by a DRO include: student loans, magistrates court fines, confiscation orders (fines relating to criminal activity), child support and maintenance, social fund loans, and debts resulting from certain personal injury claims against you. Step 1: Check you qualify for a debt relief order. Step 2: Make sure a debt relief order is the right option for you. Step 3: Complete your DRO application. Step 4: Pay the £90 application fee. Step 5: Apply to the Insolvency Service. Step 6: Receive your Debt Relief Order Moratorium. Use our Debt Relief Order Qualification Check to see if it could be the right option for you. Contact a Money Advisor to run through your income and expenditure to check you meet the strict criteria. If you haven't already received advice from us and are considering a debt relief order, you can use our online debt test tool, which will provide you with a free and confidential assessment of whether you qualify for a debt relief order. We'll also send you our "Get Out Of Debt" guide by email. Or, if you’d prefer to speak to us, call our FREE Helpline on 0800 368 8133 (freephone, including all mobiles). You will then need to prove your income by supplying your wages slips or bank statements if you receive benefits. You also need to get a list of your account or reference numbers for each one of your debts. Before your application is submitted you will need to pay a £90 fee to the Insolvency Service. This can be paid in installments, but your application will not be put forward until the full amount has been paid. Once paid, the fee is non-refundable, whether the Insolvency Service approves or rejects your application. In some cases a charity may be able to help you with the cost, you can ask your money advisor. Your completed application and fee will be sent to the Insolvency Service, they will then check everything and decide wether to grant your DRO order. The Insolvency Service will confirm in writing to you within 10 days, as to whether your DRO has been granted. If your application has been successful your DRO will start from the date of the order. The main effect of a DRO will be to place a ‘moratorium’ period on the debts listed in your DRO. This means that your creditors cannot take any action to recover or enforce their debts against you during this period. The moratorium usually lasts for 12 months from the date of the order, although there may be exceptions, and after that time the listed debts will be discharged. Our panel of specialists can quickly advise whether you qualify for a debt relief order. Simply call the team FREE on 0800 368 8133. Alternatively take the online debt relief order test and check if you qualify. Check now online whether you qualify for a Debt Relief Order?